There is usually a good reason behind why each of my books came to be written. Sometimes, as in the case of two, they are personal tributes wrapped up in what I hope are engaging adventure tales. Others had their roots or inspiration form in surprisingly different ways. On the chance that a few of you may be interested in knowing a little more about this, here’s a short breakdown on the stories behind the story. This is a personal tribute to my Canadian father, a pilot who was killed while on his 28th mission with RAF Bomber Command in July 1944. I was just six weeks old at the time. Most of what I ever learned about him came from Mum’s memories and old photos. Although all characters and events in the story are fictional, the central character’s similar surname of Stafford is entirely intentional. So too is his home town of Brandon in Manitoba, the same place that my father came from. Even the fictional 79 Squadron and Yorkshire town of Wetherditch are as close as possible to his real life 78 Squadron that was based in Breighton, Yorkshire. 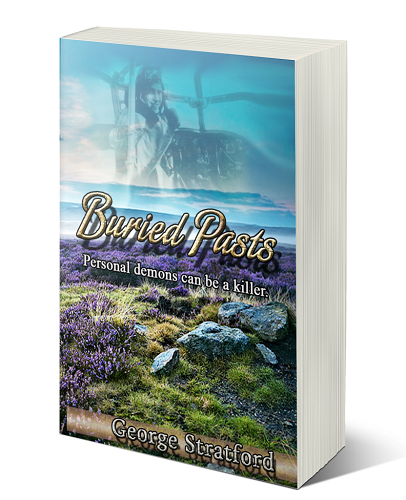 This is the newly completed companion novel to BURIED PASTS and my tribute to Mum. 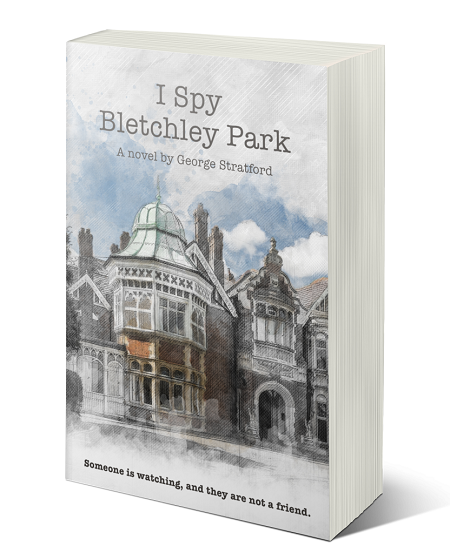 She also more than played her part in the war effort, serving first as a WAAF at the top secret code-breaking centre at Bletchley Park (1940-42), then moving on for a time to Chicksands, one of the the equally vital Y-Listening stations that fed Bletchley Park so much of its intelligence. Even when first writing the tribute novel to Dad, I knew that one to mum would also have to follow, and I’m so happy to see them together here. Needless to say, the WAAF character of Betty is based quite closely on Mum, although I’m pretty sure she never had a single piano lesson in her life. Over the years I’ve read many stories (and seen films) about professional assassins who were allegedly ‘totally anonymous’. But none of these have ever adequately explained one vital point in the story. If the hitman’s identity was so completely unknown to literally everyone, how the heck did those who wanted a job doing ever manage to contact him? It seemed like an interesting challenge to take up, so this is my take on it. Having lived for many years in Dorset, creating the fictional village of Piddlemarsh for a chunk of the drama felt right. 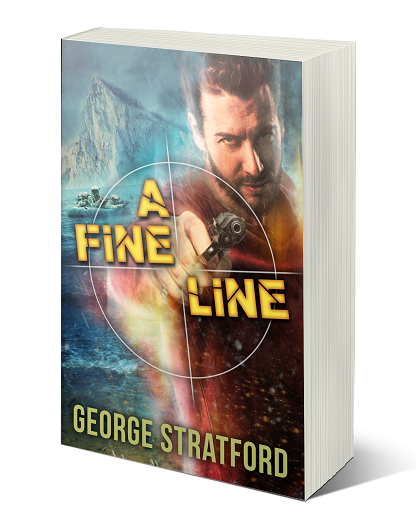 Also, when visiting the North Face Galleries in Gibraltar while there on a cricket tour, I immediately thought what a fantastic setting it would be for a final shoot-out in some future book. This novel was the result when bringing the two of these together. While in the Durban area of South Africa at the end of May 1990, by pure chance I witnessed the amazing Comrades Marathon. Run in considerable heat and humidity over a fifty-five mile long course littered with massive hills, this alone made the event highly memorable. Add over two million enthusiastic spectators lining the route, and the fact that for many of the country’s apartheid years this had been the only major sporting event in which all colours and races were able to compete together equally, and it then became unforgettable. 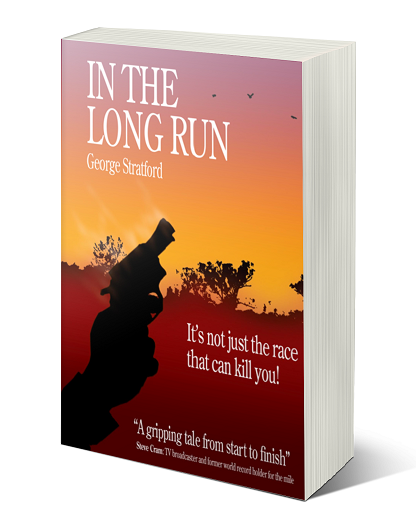 I quickly decided that the Comrades, and the real-life drama that surrounds it every year, would make the perfect backdrop for an adventure novel. Little did I know at the time that the research for this book was destined to kick off some pretty life-changing events for me as well. After spending all of my savings on a research trip to South Africa (spot the cunning link?) 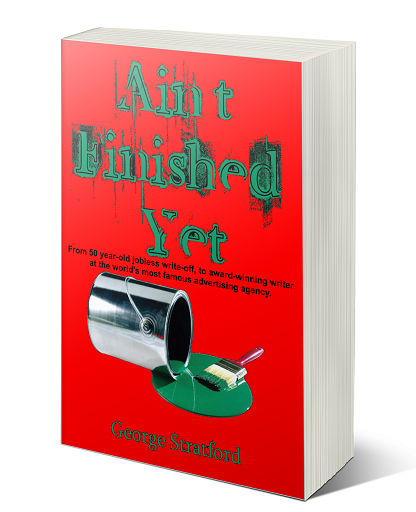 it was a major setback to find that the job I’d been relying on no longer existed. So, without any worthwhile qualifications to my name and in a time of recession, going from a 50 year-old unemployed no-hoper to working on campaigns for muti-million pound clients at Saatchi & Saatchi, London was an almost unbelievable leap. But that was all over now, and I’d already told my story plenty of times on both TV, and in the national press. Surely that was enough? “Certainly not,” said many of those who knew me well. They insisted that people would be fascinated if I put together the many untold facts and little anecdotes that the media had no time or space for. So here it is: a lighthearted memoir of those amazing six years of being semi-famous that really does tell the full story. Jeshua David, or JD as he is known to most people, is the young son of a close friend of mine who lives in the Philippines. 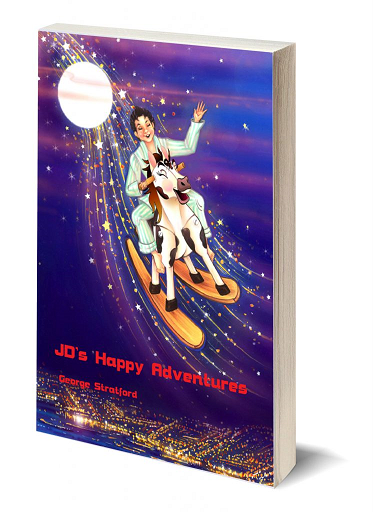 I’d already written a very short story for his little sister Pauline, so when JD (then 9 years old) asked me to write one for him as well, I started out imagining that it would run to a similar two-page length. But somehow this one grew wings. So much so that it became fifty pages long. Then a highly talented lady in India called Rama Dixit kindly agreed to do some illustrations to accompany the story. After all that, it simply had to be published. I am very much hoping that any proceeds from this little book can be directed toward something useful in the Philippines, possibly even the school that JD is still currently attending. I’ll keep you posted on that. PS: More of Rama’s wonderful illustrations for childrens books can be found here.